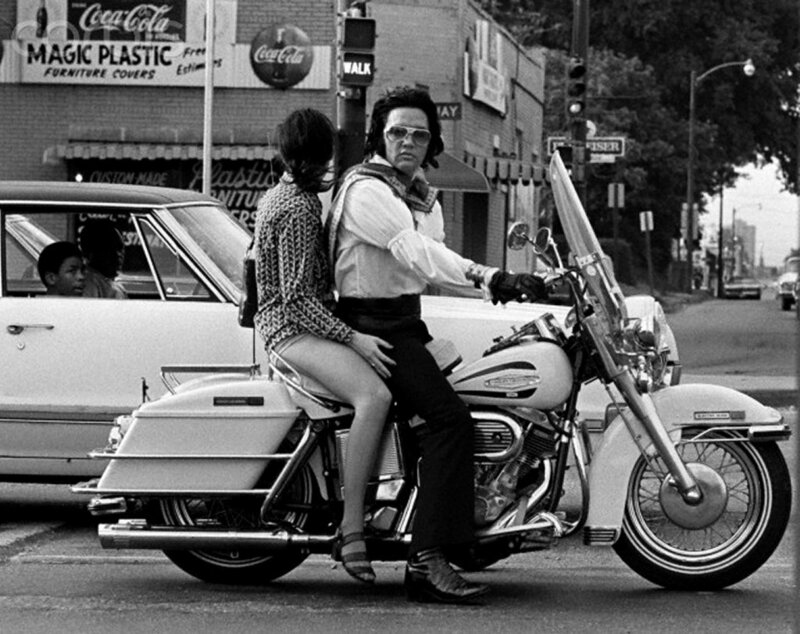 By 1972, and probably earlier, back in Memphis Elvis had bought and rode regularly a White 1971 Harley-Davidson FLH Electra-Glide. 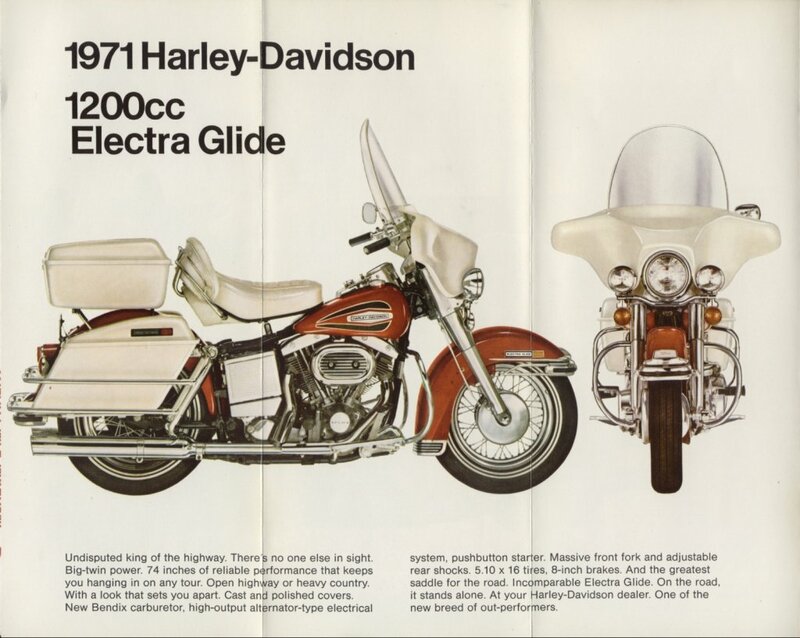 In 1969 Harley-Davidson had introduced the detachable windshield fairing kit as an option, more commonly called a "batwing fairing" to deflect more wind off the rider and by 1971 it had become a standard feature. 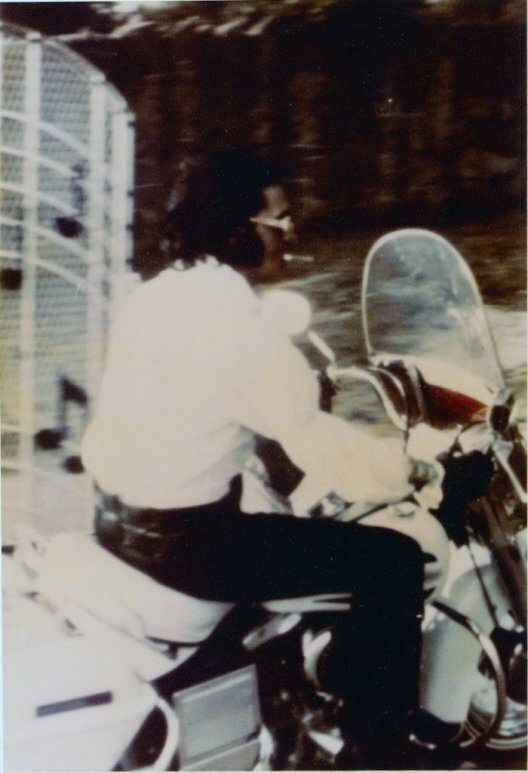 It was basically a shell and in the early years contained no instrumentation like those of the modern bikes.1 Elvis didn't seem to be initially too keen on the fairings since the few bikes he bought in those years before 1976 didn't have them. 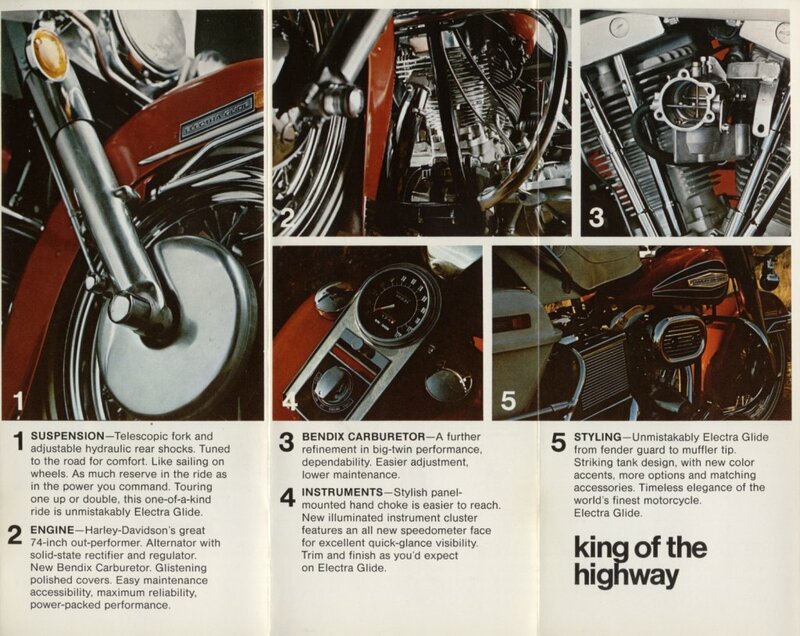 Available colors for 1971 were Black, Birch White, Sparkling Burgundy (Hi-Fi), Sparkling Blue, Sparkling Green, Sparkling Turquoise, Sparkling Red, Sparkling Copper, Bronson Red and Radiant Red.4 The tank emblem that had been in use since 1971 for this year was accented by black and white stripes on the top and bottom, but on some Birch White models a more patriot scheme was achieved with Blue and Red. 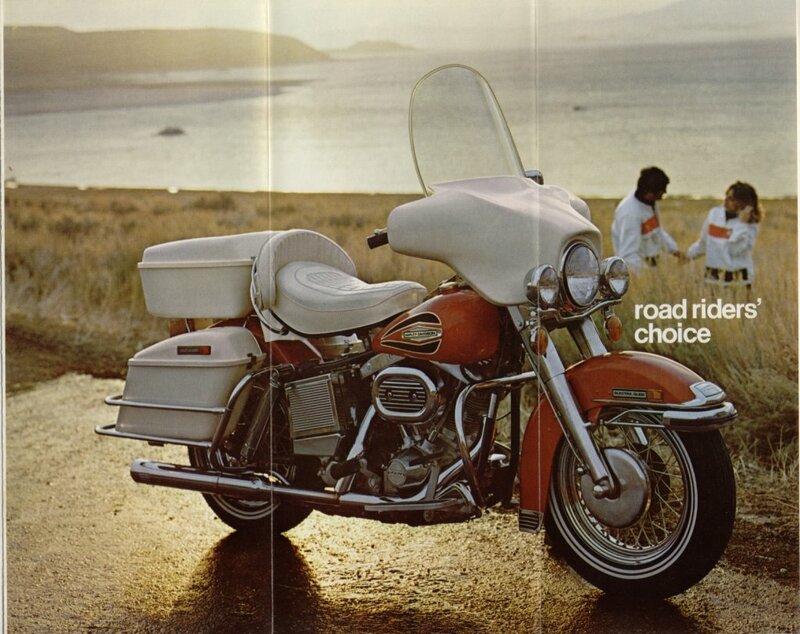 Regarding braking, Cycle World magazine flawed the Electra-Glide as others had. 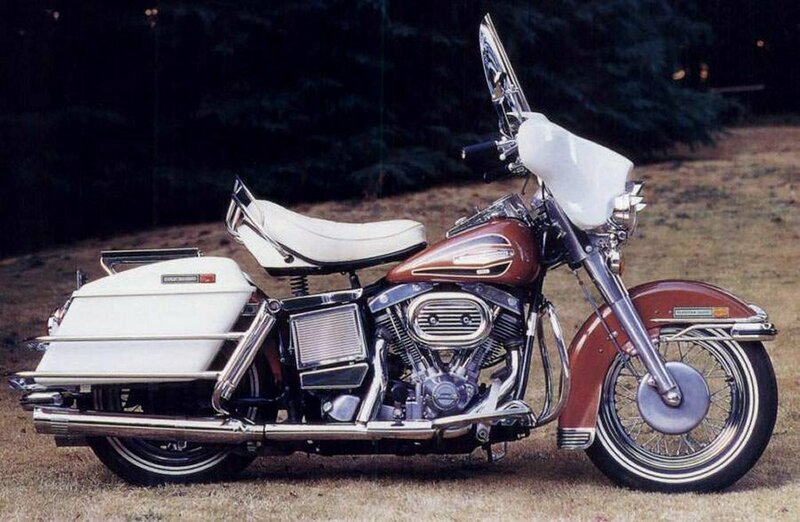 The rear brake is a hydraulic actuated item with conventional internal expanding shoes. 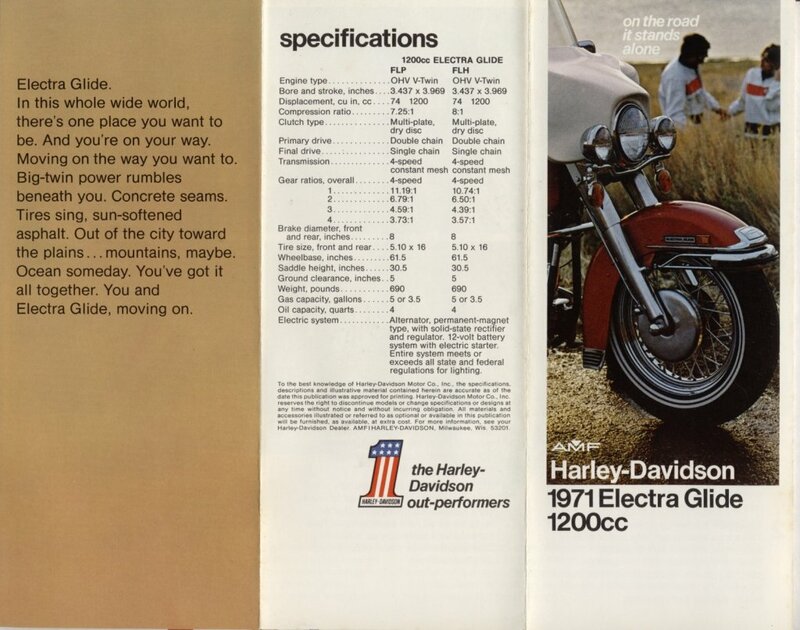 The front brake has a new type lining this year to increase braking ability. 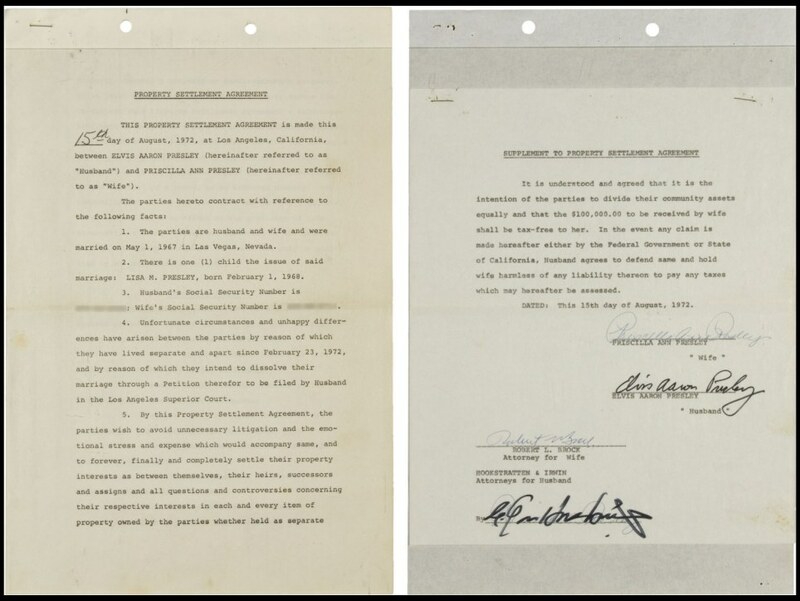 As a whole, the 74 (referring to the engine) still, as in the past, is a slow stopper due to the weight factor and brake lining area.2 Disc brakes would not be introduced until the next model year, 1972. 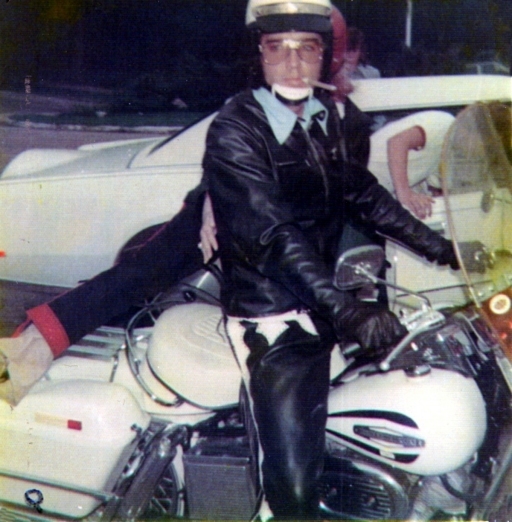 In June of 1972 Elvis was pictured on his '71 Electra-Glide riding in the vicinity of South Bellevue Blvd., near where he had been pictured previously in 1963 and not far from Taylor Harley-Davidson at 2549 South Bellevue, which in 1971 was the Mid-South's largest exclusive dealer.5 He was pictured riding with Mary Kathleen Selph, a local girl aspiring for a show business career who Elvis initially met standing with other fans at the gates of Graceland and had invited to some of his midnight screenings at the Memphian Theater. 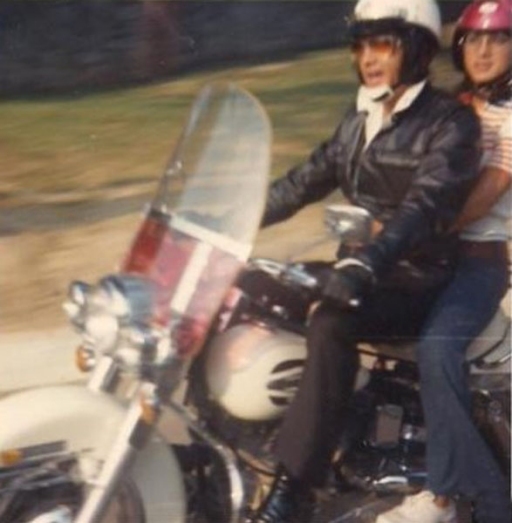 Sadly, her aspirations were cut short weeks later, not far from where the photos were taken, when early in the morning of July 18th she died, alone, in a single car accident at Interstates 240 and 55, the cause of which is unknown. 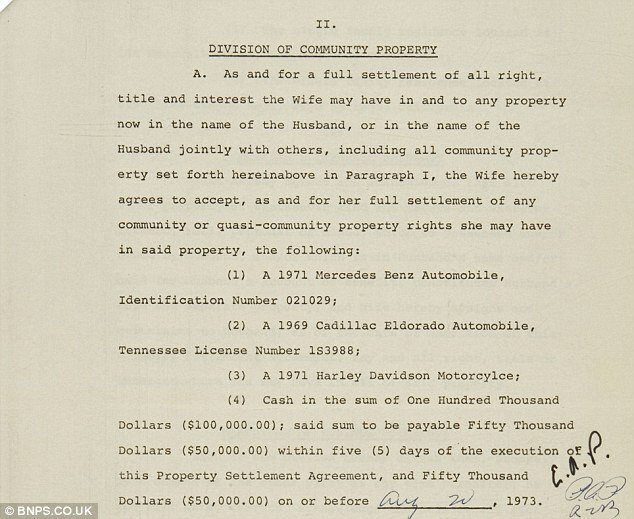 Elvis' 1971 Harley-Davidson is likely the one that was referenced in the August 1972 property settlement agreement between him and his then estranged wife Priscilla as part of what he agreed to give her in the divorce. 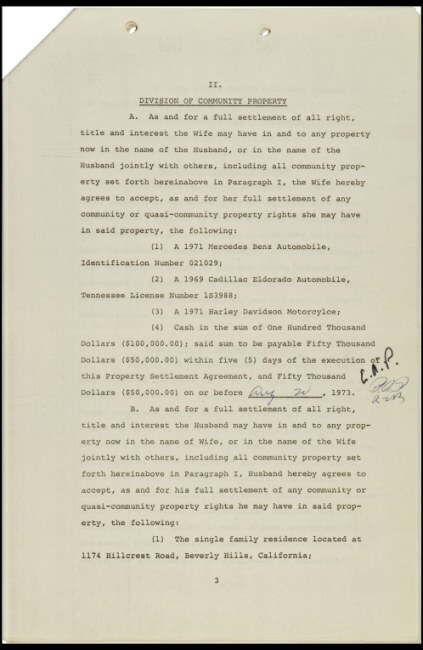 The agreement granted Priscilla ownership of a 1971 Mercedes, a 1969 Cadillac and the 1971 Harley-Davidson in addition to $100,000 in cash and half the income from the sale of their three California houses. 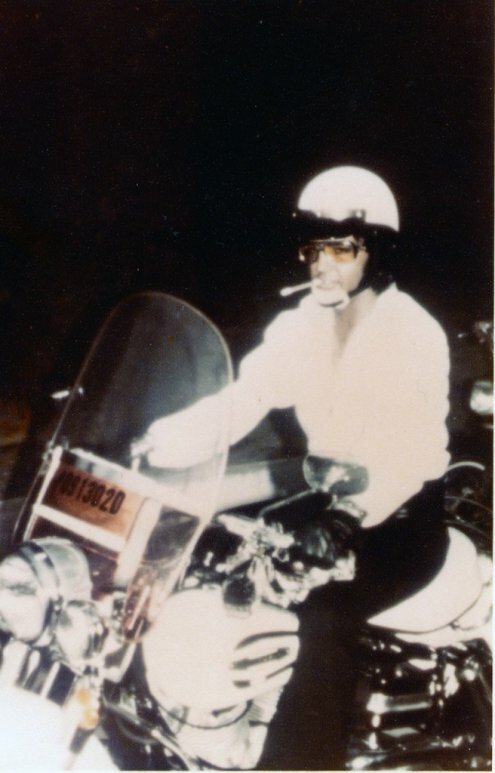 When they finally divorced Pricilla was said to ultimately receive 7.5 times that.6 We don't know if she ever got the motorcycle.